The sensing element of the instrument is an electrochemical cell. The cell is a four-electrode type, which contains a working and an active auxiliary electrode. The signal from the auxiliary electrode is used for temperature compensation and to improve the selectivity of the entire sensor. The sensor response is linear with the concentration of the target gas in air. Environmental Sensors Co.'s Hydrogen Sulfide Meter is a hand held instrument that measures hydrogen sulfide concentration in a range of 0-50 ppm and a resolution of 0.1 ppm. The instrument makes it possible to monitor hydrogen sulfide vapor in air. The insturment has an LCD display giving concentrations in ppm, a low battery indicator, and an audible alarm that can be set at any level from 0-50 ppm. With the touch of a button, the meter displays STEL (average of every 15 min. ), TWA (8 hour average) and Peak. 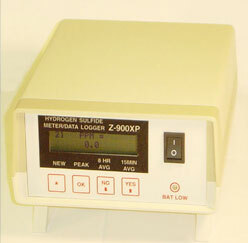 The ZDL-900 Hydrogen Sulfide data logging meter stores all of the exposure points for up to 5 logs (a log is created in the instrument's internal memory each time it is used). A log contains: date, time, number of exposure points, the interval between each point, and the actual exposure points. All of the log files can be easily uploaded to PC using components vailable within the Microsoft Windows Operation System or the termianl software included with the instrument. H x D x W: 4.75" x 2.5" x 1.5"
Environmental Sensors Co.'s Hydrogen Sulfide Meter is a portable desktop instrument that measures hydrogen sulfide concentration in a range of 0-50 ppm and a resolution of 0.1 ppm. The instrument makes it possible to monitor hydrogen sulfide vapor in air. The insturment has an LCD display giving concentrations in ppm every 10 seconds, a low battery indicator, and an audible alarm that can be set at any level from 0-50 ppm. The internal pump makes it possible to sample from hard-to-reach areas or confined spaces by attaching a flexible tube to the meter. The Z-900XP meter stores all of the exposure points for up to 5 logs (a log is created in the instrument's internal memory each time it is used). A log contains: date, time, number of exposure points, the interval between each point, and the actual exposure points. 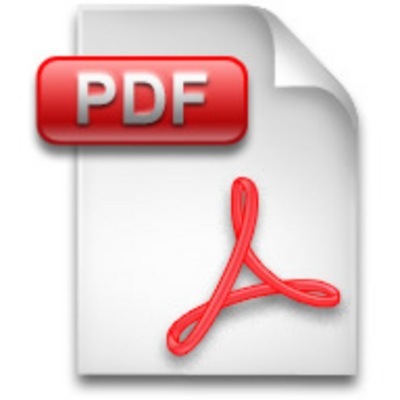 All of the log files can be easily uploaded to PC using components vailable within the Microsoft Windows Operation System or the termianl software included with the instrument. H x D x W: 7.5" x 5.75" x 2.75"